My mom gave me a huge 5lb bag of local carrots this week and I was wracking my brain on what to do with them all (maybe take up vegetable art?). 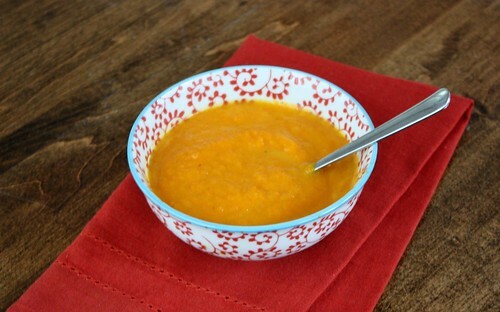 Then I got thinking about a big warm bowl of smooth and creamy carrot soup. 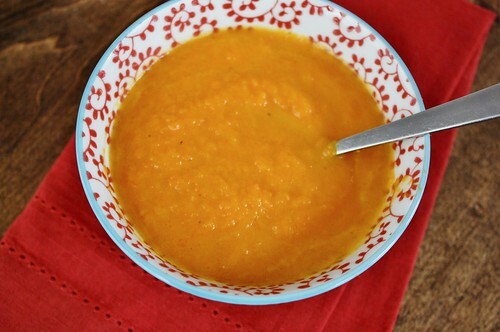 There is something about soup that makes it really feel like fall is here. We had this for dinner one night this week with an easy frittata. It was a quick weeknight meal that still made sure we got plenty of vegetables. The leftovers were great for lunches too! 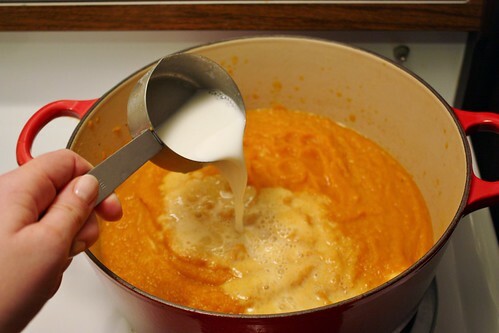 In a large saucepan or dutch oven, melt butter oven medium heat. Saute onion for about 5 minutes or until soft. 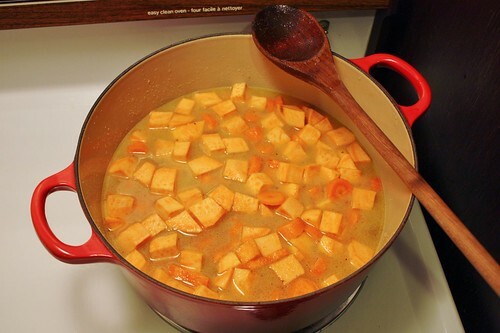 Add carrots, sweet potatoes, broth, cumin, salt, pepper, nutmeg and bay leaf. Bring to a boil then reduce heat. Cover and simmer for 20 minutes. Discard bay leaf. 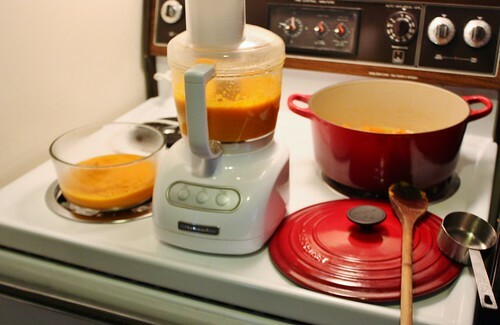 Puree in batches in a food processor until smooth. Return to the pan and stir in the milk. 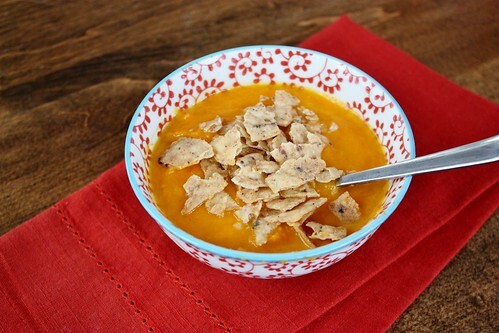 Serve with crushed tortilla chips, crackers or croutons on top. Puree in batches in a food processor until smooth. Return to the pan and stir in the milk. It’s smoothy and creamy, with a little bit of heat from the cumin and some kick from the nutmeg too. I added some crushed black bean garlic tortilla chips for a little bit of crunch. Crackers or croutons work great too!